Many free media players are available on the market, but XBMC would be first choice of people all around the world. Now only it is an open-source software which is compatible with multiple operating systems and hardware platforms, but only it allows users to play and view most videos, music, such as podcasts from the internet, and all common digital media files from local and network storage media. Meanwhile, XBMC is a popular multi-platform alternative to Windows Media Center for HTPC (Home Theater PC) use. While like the most media players, XBMC does not take Blu-rays as accepted playback file type. In order to play Blu-rays with XBMC, you should backup and rip Blu-ray to MKV, and then stream movies to play with XBMC via network. With Pavtube ByteCopy, users can easily backup Blu-ray to MKV with all audio and subtitles for playback with XBMC. For mac users, refer to the mac workflow. How to enjoy Blu-rays with XBMC via network anytime and anywhere? 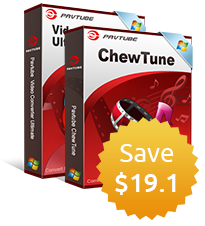 Free download Pavtube ByteCopy to your computer, install and launch it. Insert Blu-ray into disc drive which is well connected with the computer, click the "Load from disc" button in ByteCopy and browse to disc drive for importing. 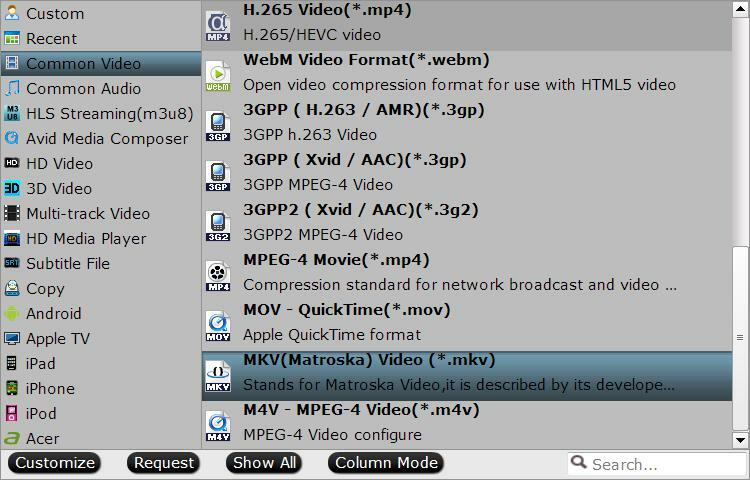 You are suggested to choose "Common Video" > "MKV(Matroska) Video (*.mkv)" for Blu-ray to XBMC MKV output. Multiple formats are available in ByteCopy in case you have desires for other portable devices, including Galaxy Tab 3, iPad Mini, PS3, etc. At the same time, you can customize video and audio presets in order to get a satisfying playback on your device. Video parameters including video codec, display resolution, bitrate and frame rate, and audio settings like sample rate, audio channels, and more, are free to adjust according your needs. Step 3: Rip Blu-ray to MKV for XBMC. Back to ByteCopy main UI, hit on the "Convert" icon and start ripping Blu-ray to XBMC MKV. When the conversion completes, open output folder and find the ripped movie there. Now you can watch Blu-ray movies on smartphones and tablets with XBMC via network.